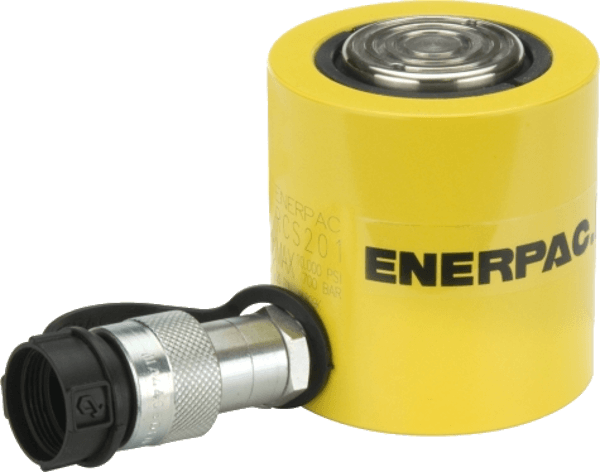 Enerpac hydraulic cylinders are available in hundreds of different configurations. 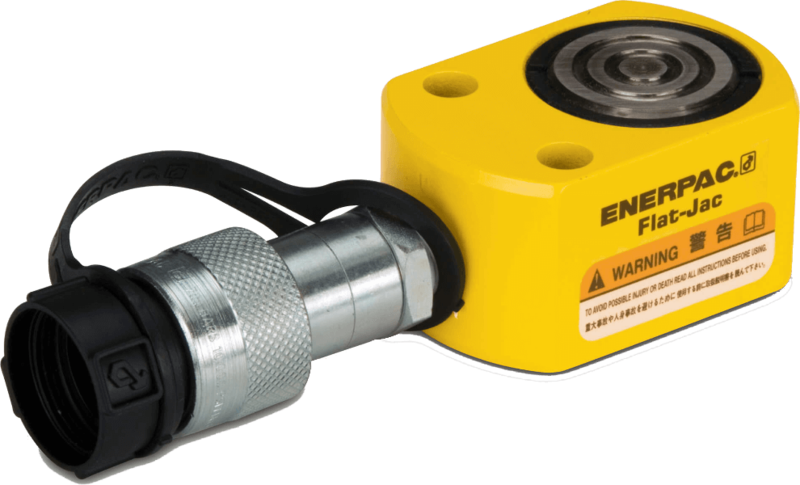 Whatever the industrial application; lifting, pushing, pulling, bending, holding, whatever the force capacity, stroke length, or size restrictions, single- or double-acting, solid or hollow plunger, you can be sure that Enerpac has the cylinder to suit your high force application. 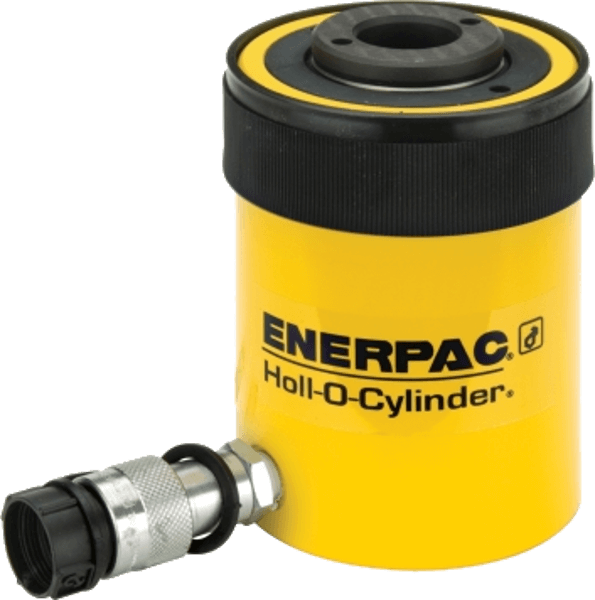 Enerpac jacking cylinders fully comply to ASME B30.1 (except RD-Series). Contact Pickford today for assistance with your project. Enerpac RSM100, 11.2 ton capacity, .44 in stroke, low height hydraulic cylinder. CR-400 coupler and dust cap included. Collapsed height of 1.69 inches. Enerpac RCS201, 22.1 ton capacity, 1.75 in stroke, low height hydraulic cylinder, CR-400 coupler and dust cap included. Collapsed height of 3.88 inches. Enerpac RCH202, 23.6 ton capacity, 2.00 in stroke, single-acting, hollow plunger hydraulic cylinder. Hollow plunger design allows for both pull and push forces. Includes AR-630 coupler and has 1/4 NPTF port, features CR-400 Coupler, Collapsed height of 6.38 inches. Enerpac RC308, 32.4 ton capacity, 8.25 in stroke, general purpose hydraulic cylinder. CR-400 coupler and dust cap included. Collapsed height of 15.25 inches. Pickford supplies Enerpac hydraulic cylinders to all of Western Canada including Manitoba, Saskatchewan, Alberta, and British Columbia from our 40,000 sq.ft. Edmonton warehouse.